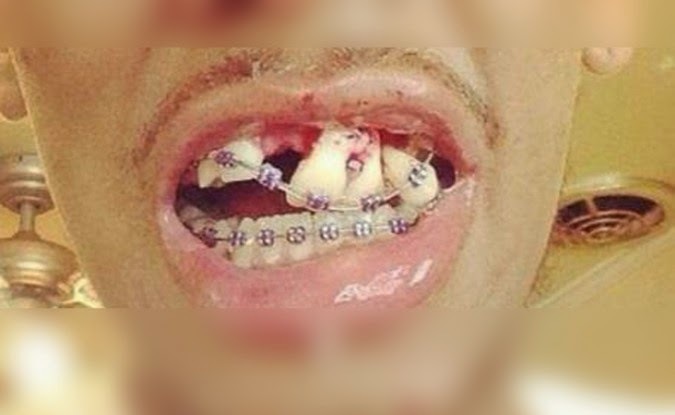 A photo of a young man who used a Do-It-Yourself braces had gone viral over the social media sites. This photo will show you the negative effect that messed up his teeth. A lot of Do-It-Youself braces are being sold in the black market. It is said to be that these braces are non-medical that is why you can put it yourself. The people who buys these braces are those people who cannot afford the professional fee of the dentists. Having an appointment with someone who is an expert is really costly that is why people tend to buy those cheaper DIY braces without even considering its effects. 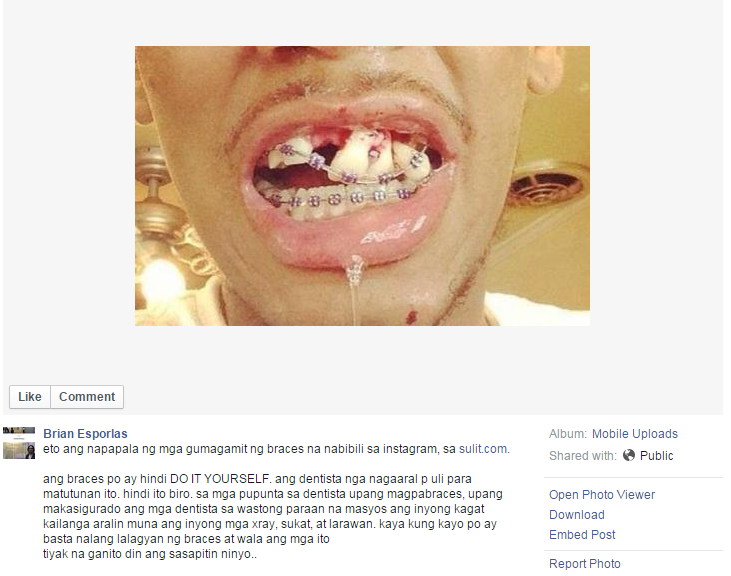 These DIY braces is becoming popular in the Asia nowadays including the Philippines. This should not be tolerated because installing braces requires expertise and proper training. It is not like a shoe that you just put in when you want to and remove when you don’t want it. Let us not support these DIY Orthodontic Braces Kits because of its negative effect on its users. Misuse of these things can lead to mouth sores and tooth decay because of the chemicals attached to the wires of the braces.